Home > Car Concept > News > Video > Jaguar XE SV PROJECT 8 shatters the Nurburgring lap record for Sedans! Jaguar XE SV PROJECT 8 shatters the Nurburgring lap record for Sedans! 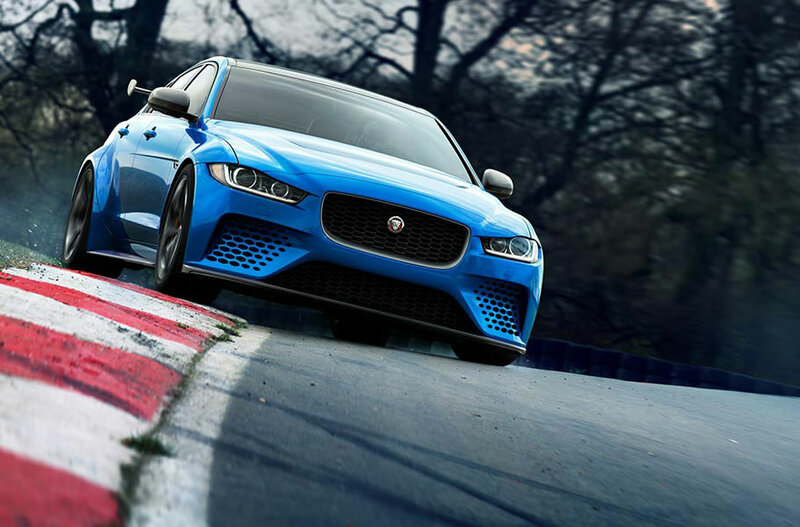 The all-new Jaguar XE SV Project 8 was being tested in Nürburgring Nordschleife and it it hit a Guinness World Record of 7:21 minutes shortly before it was revealed in November ahead of of the Los Angeles Int'l Auto Show. The record trumped the previous record holder -the Alfa Romeo Quadrifoglio by 11 seconds! With a 600 HP 5.0-liter supercharged V8 engine, the Project 8 is the most powerful street-legal Jaguar vehicle in history. Total production will be strictly limited to 300 cars worldwide, each one hand-assembled at the SVO Technical Center in Warwickshire, England - Sources from Jaguar has revealed! New 2018 Jaguar XE SV Project 8 sedan exclusively features the most highly tuned version of Jaguar Land Rover’s Supercharged V8 petrol power train. The 600HP power unit, which has a Titanium Variable Active Exhaust, is complemented by Jaguar’s All-Wheel Drive system and motorsport-derived aerodynamics to deliver a 200mph (320 km/h) top speed and 0-60mph in 3.3sec (0-100 km/h in 3.4sec), making Project 8 the fastest accelerating Jaguar yet. All this performance begins to justify the Project 8's exuberant $187,500 price tag. Considering the car's ultra-limited production, we have a feeling Jaguar will sell every one it makes.